The Gau Ausschuß met in Orlando, FL February 28 - March 1, 2009 for the annual meeting. 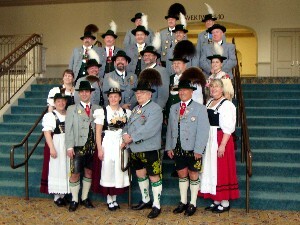 The members of the Ausschuß toured the venue (Rosen Shingle Creek) for the 2011 Gaufest. The minutes of the meeting will be posted on the website in the near future. S.T.V. Maiglöckchen, hosts for the 2011 Gaufest hosted the meeting. .